Safaree Samuels is having the worst luck with women following his breakup with Nicki Minaj. The Love and Hip Hop Hollywood star ex-girlfriend Star Divine put him on blast on SnapChat for cheating on her. 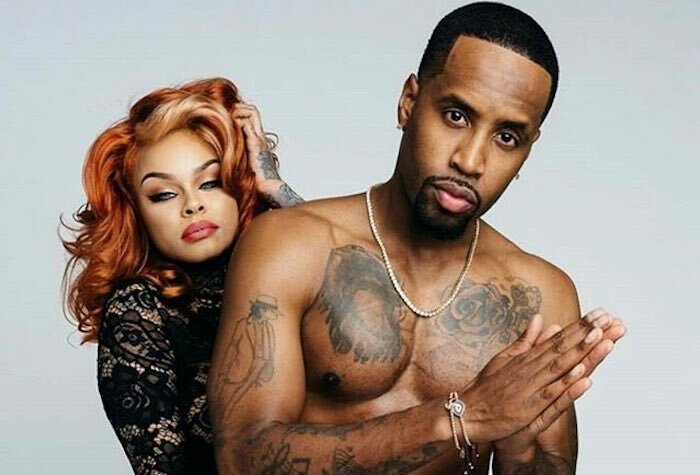 The Instagram model and Safaree have only been dating for a few months and already they got into a nasty break up and according to her, he cheated so she gave away his possessions including his cloth and microphone. The lesson that he has to learn here is that if you breakup with a crazy woman you need to get your stuff out of her place immediately. Otherwise failing to do that will earn you some embarrassment. “This is what happens when your nasty a** cheats on a good woman!” Star Divine said in the video posted on her SnapChat. She then went on Instagram Live and aired out their dirty laundry calling him a bum. “You should’ve removed your things from MY house before you went #PickinsidesPickinsides,” she said in one of her posts on SnapChat. You can look out for Meek Mill to start wife up Star Divine in the near future. Some fans are already saying that he was the one who told her some story about Safaree.